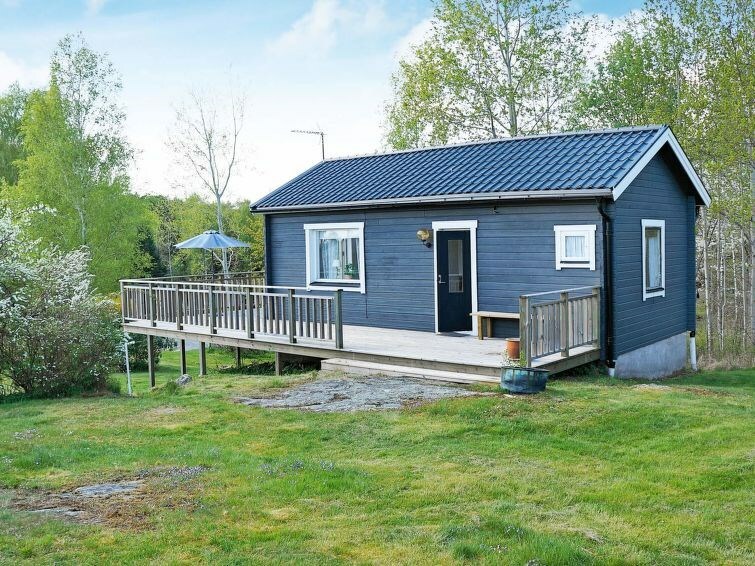 Welcome to this charming holiday home, situated by the seaside in Svanesund, on the lovely island of Orust. The cosy cottage is set on an elevated, natural garden plot, in a small, residential area. It has a big spacious terrace and its just a few minutes walk to the nearest bathing spot. 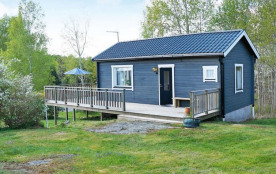 The one-storey cottage features a small kitchen equipped with electric hotplates, a fridge-freezer and a coffee maker. In the spacious living room, you will find a dining table and a sofa bed (best suited for children). The living room opens onto the lovely, furnished terrace. The bedroom has two single beds. Please note that the bedroom does not have a door, theres a curtain in the doorway instead. The house has a WC and a washbasin, and a shower in a separate room next to the lavatory. The nearby bathing spot, Skogen, has a sandy beach, cliffs, and a bathing dock. Theres a larger, public bathing spot with bathing docks and a diving tower about one kilometre away. This bathing spot is suitable for the disabled. Svanesund is nearby, and offers restaurants and services. Theres also a free ferry to Stenungssund where you will find a large number of shops. Orust is a popular summer holiday resort, and its easy to see why. It is a beautiful place that offers something for everyone. In the summertime, theres festivals, jazz events, museums, diving, golfing, and other activities available. The charming fishing towns of Hälleviksstrand and Mollösund are well worth a visit. Dont miss the lovely café Sjöbodscafét, set amongst the boat docks in Hälleviksstrand. The owners of the café also own Anders Båt och Brygga, which arranges fishing trips, seal safaris, and lobster fishing. The big city of Göteborg is only 70 kilometres away. Orust kommun - 2 pers.